MoviePass, the monthly subscription-based service that offers seemingly impossible deals on movie tickets, appears to be heading towards that place where most impossible deals enabled by fistfuls of investors’ money go: the drain. If the exact rates of cash flow in the filings held steady, and MoviePass was able to collect all the cash owed it by merchants immediately, it has almost exactly two months before it starts going into the red without raising additional funding. It’s pretty obvious that MoviePass, a service that allows customers to see a movie in theaters up to every 24 hours at the company’s expense for just around $10 a month, isn’t making money on tickets. Instead, the company hoped to reach a critical mass of moviegoers that would allow it to cut revenue-sharing deals with theater chains, and possibly collect some revenue on the side by selling users’ cinema habits to advertisers or launching Groupon-style brand partnerships. This strategy more or less boiled down to MoviePass redistributing its investors’ money to theater-goers to build goodwill and thus market share. That’s a fantastic way of making people love your company. But it is not a way to make money in anything but the long term, when you have enough customers to ease off on the money spigot. 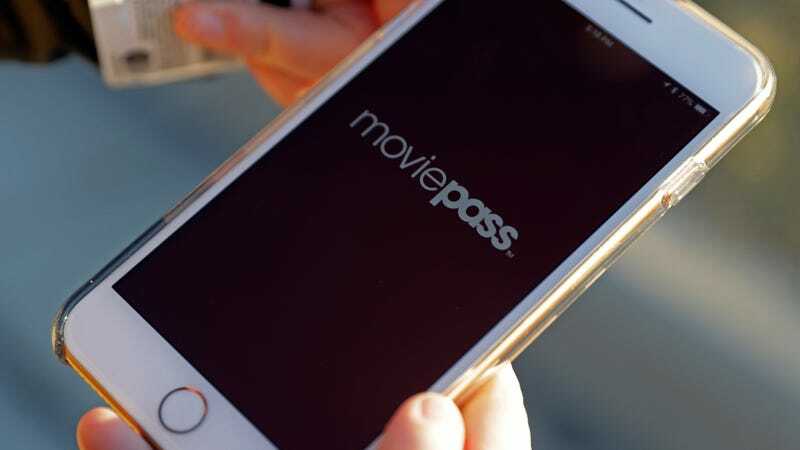 MoviePass has recently tried to slim expenses, such as by only allowing customers to see a movie once, cutting off some theater franchises, and even restricting some specific films. It’s also tried to cut down on fraud by demanding ticket stubs from some users. Yet according to the Verge, traditional theater chains haven’t been spooked by MoviePass—perhaps because they were making the same amount of money per ticket, just at MoviePass investors’ expense. “We are unable to estimate the actual funds we will require,” the company said. It’s possible the company will squeak through—its strategy was always to pull off that costly all-or-nothing dominance model pioneered by the likes of Facebook and Uber, and Helios & Matheson wrote in the filings that their cost-cutting measures have been effective in stemming the bleeding. But every customer it adds shy of whatever number they need to gain leverage over theaters is another expense. Some deals, it seems, may really end up being too good to be true.